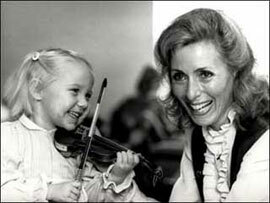 I trained at the Royal Academy of Music and have been teaching the violin for nearly thirty years. Trained by the British Suzuki Institute, I teach pupils of all standards from Suzuki Book 1 through to advanced level. Some of my pupils have been awarded music scholarships and gone on to pursue a career in music, but most have simply taken from their lessons a love of music, self-confidence and the ability to participate in chamber music and orchestras throughout their lives.